Sea Pointe transformed this small, dated home to a relaxing beach bungalow. This Dana Point remodel included removing load bearing walls to create an open concept from the kitchen into the family room space. 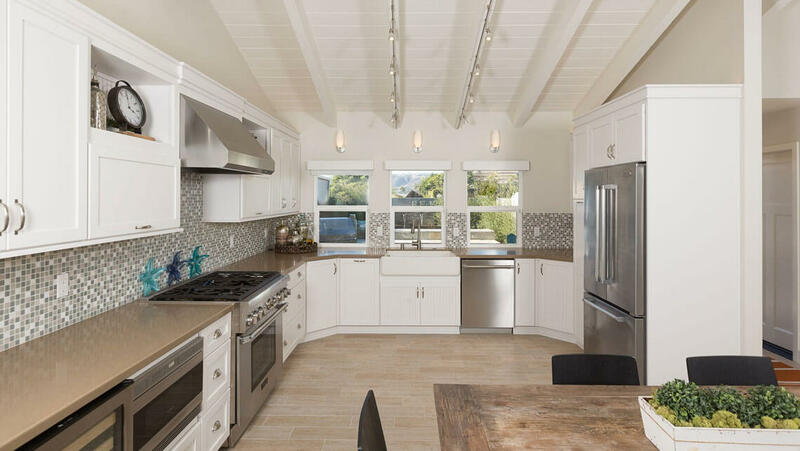 The kitchen design incorporated beadboard door styles to accent the beach theme along with quartz counters that mimic concrete to bring out the laid back atomoshpere of beach living. The fireplace was tiled to add a modern flair and the porcelian tiles that mimic wood flow throughout the home. Two bathroom remodels were completed and the bedrooms were updated to be consistant with the rest of the new design. 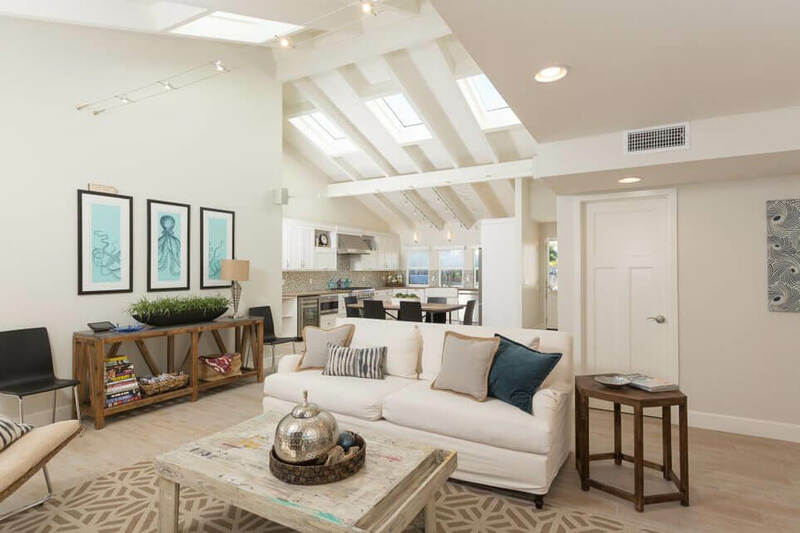 Sea Pointe transformed this small, dated home to a relaxing beach bungalow. This Dana Point remodel included removing load bearing walls to create an open concept from the kitchen into the family room space. The kitchen design incorporated beadboard door styles to accent the beach theme along with quartz counters that mimic concrete to bring out the laid back atmosphere of beach living. The fireplace was tiled to add a modern flair and the porcelain tiles that mimic wood flow throughout the home. Two bathroom remodels were completed and the bedrooms were updated to be consistent with the rest of the new design.